Statements available online for download. 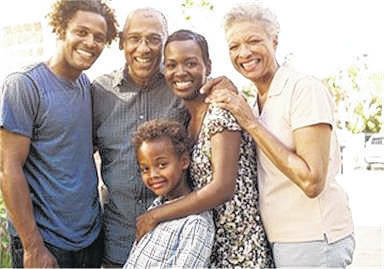 Social Security puts you in control of your finances and future. The Social Security Administration has made requesting or replacing your annual Benefit Statement even easier. The Benefit Statement is also known as the SSA-1099 or the SSA-1042S. Now you have the ability to download it anytime and anywhere you want using SSA online services. There’s no need to visit a field office. An SSA-1099 is a tax form Social Security mails each year in January to people who receive Social Security benefits. It shows the total amount of benefits you received from Social Security in the previous year so you know how much Social Security income to report to IRS on your tax return. If you currently live in the United States and you need a replacement form SSA-1099 or SSA-1042S, simply go online and request an instant, printable replacement form with a my Social Security account at www.socialsecurity.gov/myaccount. If you already have a personal my Social Security account, you can access your online account to view and print your SSA-1099 or SSA-1042S. If you don’t have access to a printer, you can save the document on your computer or laptop and email it. If you don’t have a my Social Security account, creating a secure account is very easy to do and usually takes less than 15 minutes. If you’re a noncitizen who lives outside of the United States and you received or repaid Social Security benefits last year, the SSA will send you form SSA-1042S instead. The forms SSA-1099 and SSA-1042S are not available for people who receive Supplemental Security Income (SSI). When you have access to your benefit information, you can make knowledgeable decisions about your financial future. With you in control, you can secure today and tomorrow for yourself and your loved ones. Visit www.socialsecurity.gov to find out more. https://www.portsmouth-dailytimes.com/wp-content/uploads/sites/28/2018/02/web1_SOC-SEC-2.12.18-1.jpgStatements available online for download.